The Brasher Lithium weighs 1400g (pair, size 11); synthetic and suede upper; Gore-Tex waterproof lining; very aggressive Vibram outsole lug pattern for mud; good sole stiffness for rocky ground; solid toe box for protection. But boots with less mesh and stitching will be more durable. 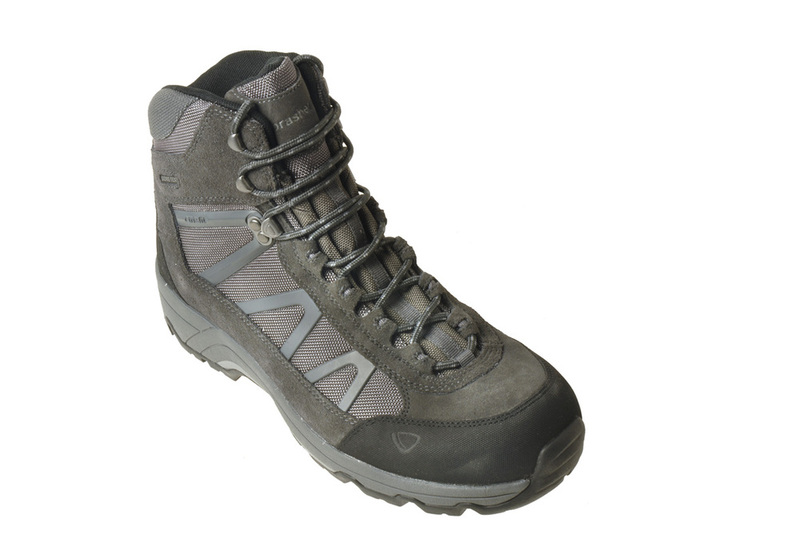 The Brasher Lithium is a good boot for valley and easier hill terrain, but the upper is not as durable as others.